If you have kids or pets and a home with carpet, chances are you need a carpet freshener. Make your own DIY Carpet Freshener with this tutorial made with just two ingredients. Okay, admit it. Do you take off your shoes at home? I’m originally from Hawaii, so it was like the state motto. I even hung a sign outside my house that said, “Please remove your shoes” for my friends in the mainland who weren’t aware of the custom. But after years of living in California, even I admit that I’ve walked on my carpet more than I like to admit. Plus, I’ve got kids. And even with them walking around without shoes my carpets still manage to get a funky odor here and there. 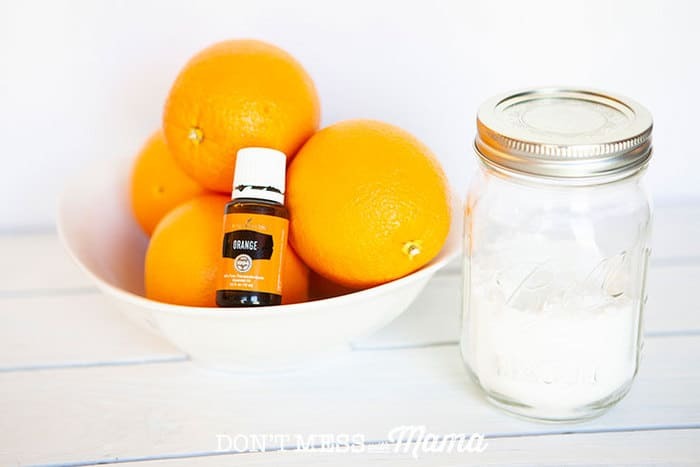 That’s why I’m loving this DIY Carpet Freshener made with just two simple ingredients. It’s the easy solution to deodorize carpets – making it smell clean and fresh. 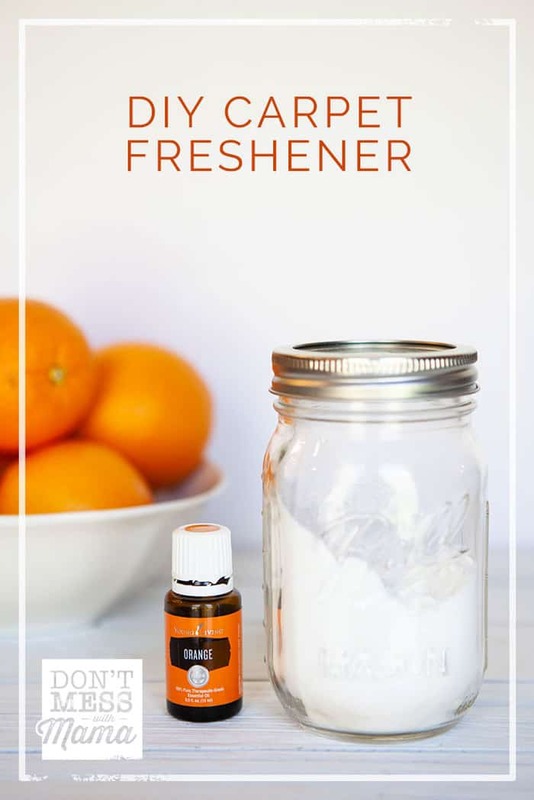 This recipe is so much better than the store-bought carpet fresheners because it doesn’t have those artificial scents – which are far from natural. Companies don’t have to disclose exactly what’s in their fragrance blend because it’s a proprietary or company secret. So that one ingredients labeled as fragrance could actually contain 200 different chemicals to make up that scent. Artificial scents have been linked to asthma, allergies and other respiratory issues. Um, no thanks. 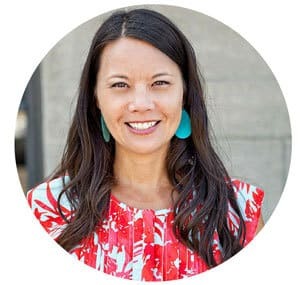 I’m going to help you keep it natural and deodorize those carpets with just two simple ingredients. You ready for it? Baking soda is a natural deodorizer. When you sprinkle it on carpets, it will help to absorb odors and will be removed when you vacuum. 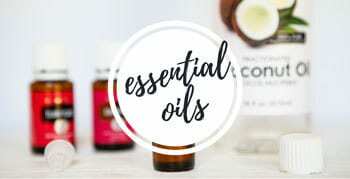 Essential oils provide a natural scent and can help to deodorize as well. 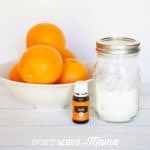 I love to use Orange because it has such a natural, fresh scent. 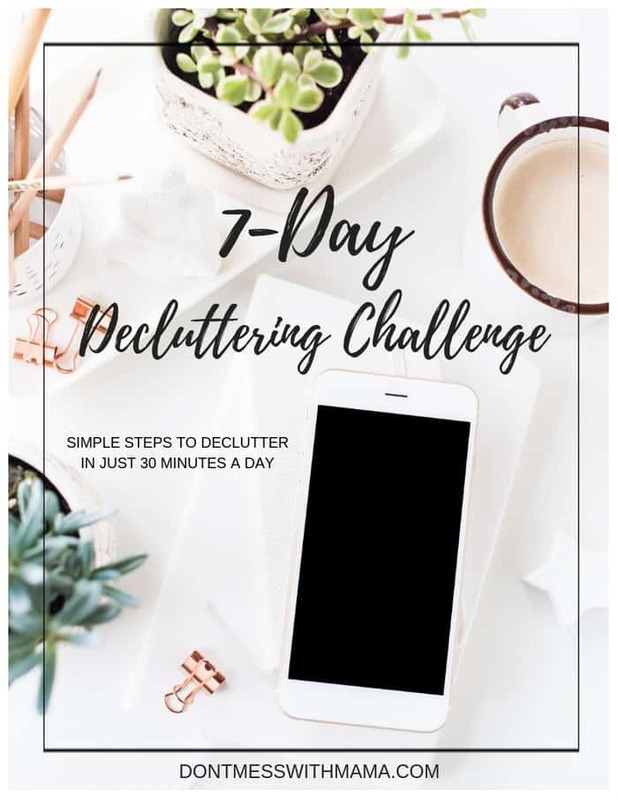 But the blend Purification (made with citronella, rosemary, lemongrass, tea tree, lavandin, and myrtle essential oils) is really very effective in purifying and removing odors for carpets, laundry, etc. 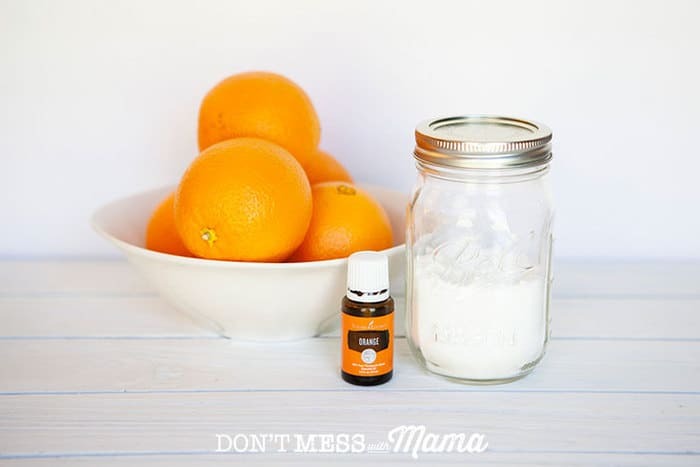 Did you make this DIY Carpet Freshener? Don’t forget to rate them and comment below to let me know how it went. You can also FOLLOW ME on Facebook, Instagram and Pinterest to see what other fun things I’m getting up to. 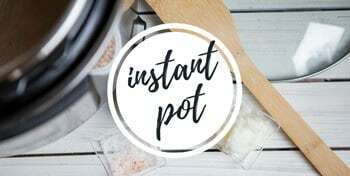 In a large mixing bowl, add essential oils and entire box of baking soda. Mix well. Scoop mixture into a glass Mason jar and store until needed. Generously sprinkle 1 cup of the baking soda mixture on carpets. Leave on carpets for one hour to allow mixture to absorb odors and naturally clean carpets. 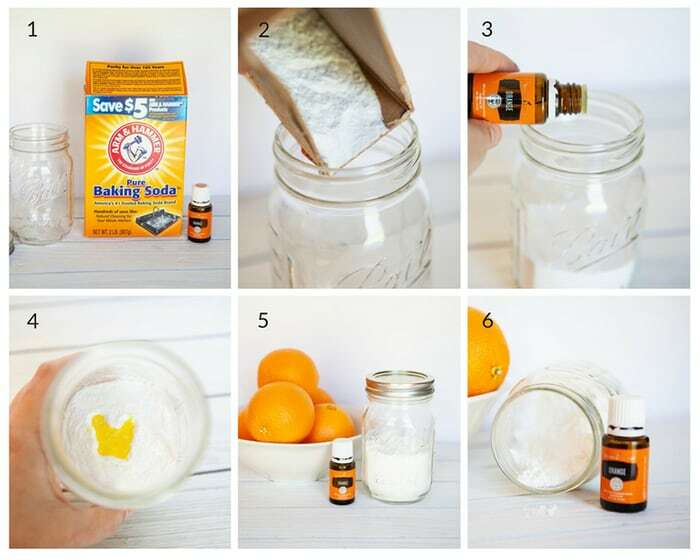 Use a vacuum to clean up baking soda mixture. Your carpets should smell like lemon and citronella. Use remaining 1 cup as needed. 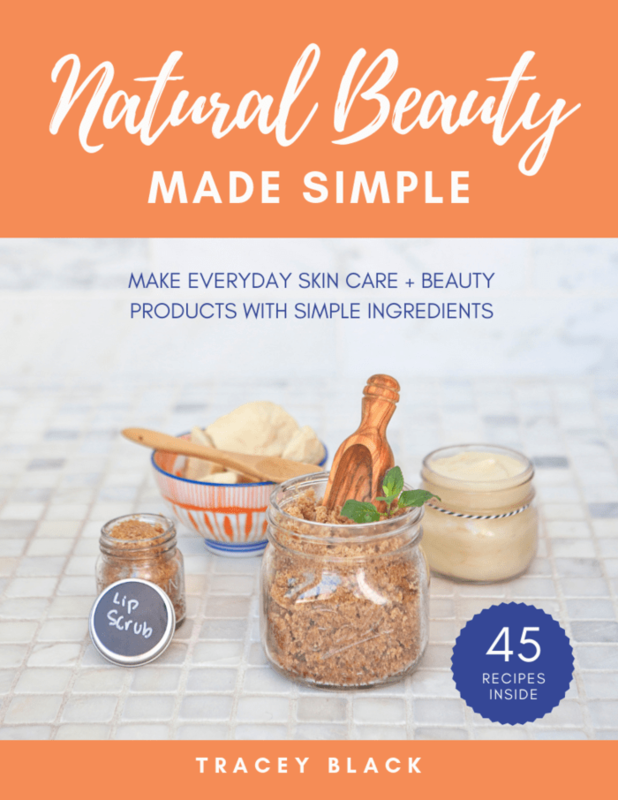 Get glowing skin and learn how to make your own DIY beauty products with simple ingredients from your kitchen. 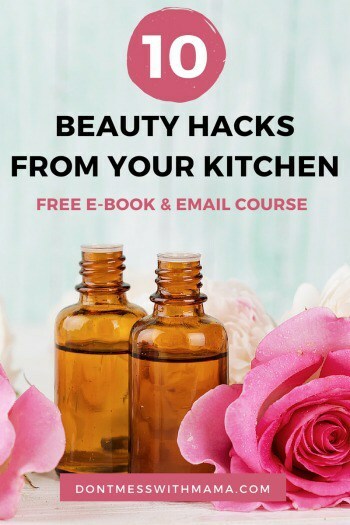 Plus, get my 7-day essential oils course to get gorgeous skin from the inside out. Can a Gluten Free Diet Help ADHD? I have a carpet that is high pile at home, it is the kind where Lego pieces get in and are gone forever. Do you think this recipe will work well on both high and low pile carpets? Thank you for sharing all these amazing natural tips to look after our home and family. Ha ha – I’ve tried this on all kinds of carpet and it works well. I am excited to try this carpet freshener. I think it is cheaper and smells good. I am going to stop buying at walmart. That’s such a good idea! Lately I’m more and more about leaving all the chemicals and use natural ingredients at home. Thank for sharing this post. 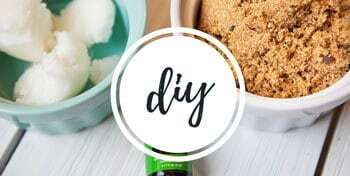 I am getting away from chemicals more and more every day, so my eyes particularly went directly to your article for DIY carpet deodorizer. I have acquired many essential oils (so far) and they are well….. oily!! 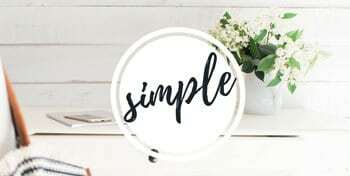 So my concern and question for you is, about using your recipe on my carpets (light colored especially) and definitely feeling as though an oily residue will remain and I know this can actually attract dirt and create stains. I understand the oils are mixed with baking soda. Can you kindly comment on this and explain why I should not fear this happening? Your help and time is much appreciated!! 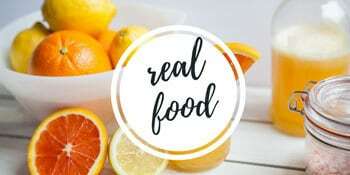 So the essential oils I use for this recipe are 100% pure oils – they are not adulterated with other ingredients nor do they have carrier oils like olive or coconut oils (which are oily). Essential oils are actually greaseless – so it won’t leave that oily residue but it definitely matters what oils you do buy. I only recommend these oils. I am allergic to tea tree oil and eucalyptus oil. What is a good substitute for these oils? I would love to try this. Is the carpet freshener safe for a small (5.5 lb.) dog? Yes, it’s very safe for pets and small children.